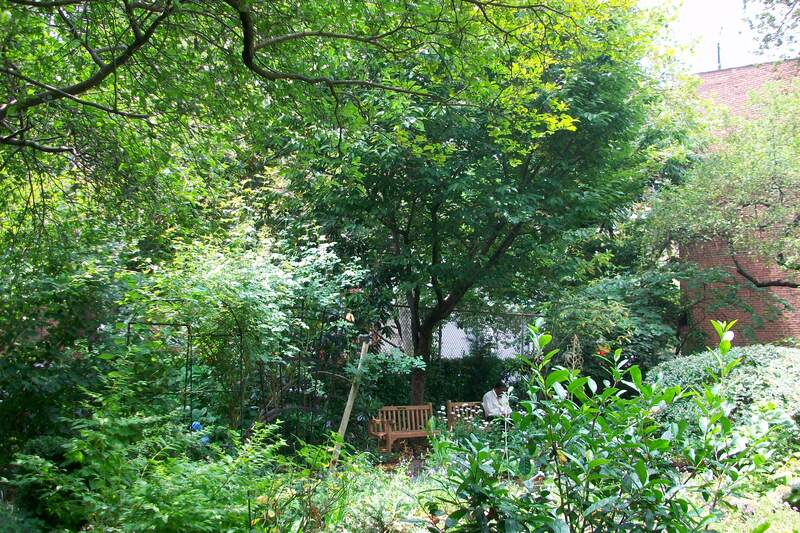 In June 2013 Curbed published a list of 40 Secret Gardens, Parks And Green Spaces Hidden Across NYC. Two village greenspaces made the list: Gardens of the Church of Saint Luke in the Fields and the Liz Christy Community Garden. Below we include these two and three more: Jefferson Market Garden, Sasaki Garden at Washington Square Village, and Sir Winston Churchill Square. Take a seat while we have this enjoyable fall weather. The site of a former women's prison is now home to roses, rhododendrons, native ferns, and spectacular specimens of star and saucer magnolias, white fringetree, and American yellowwood. The most striking feature of this community garden is the towering dawn redwood (Metasequoia glyptostroboides) growing in the eastern section of the garden. Dawn redwoods can achieve heights of 70-90 feet; for scale, the building in the background is nine stories high. A 1.5 acre garden designed by Sasaki, Walker and Associates and opened in 1959 as part of the Washington Square Village complex. Find this garden - open to the public - by entering the superblock from Bleecker or West Third Street between Mercer Street and LaGuardia Place. This small, lovely, beautifully planted square is located at the crossroads of Bleecker Street, Sixth Avenue, and Downing Street. This garden began its life in 1970 on a vacant lot at LaGaurdia Place and West Third Street. In 1981 the garden moved to its current location at LaGuardia Place and Bleecker Street when the West Third lot was sold to New York University to build a library. Mardoqueo, thank you for sharing the link to the NPR segment about the 6th & B Community Garden. Also, thank you for following our work on Facebook. Wow those are some great pictures of trees. 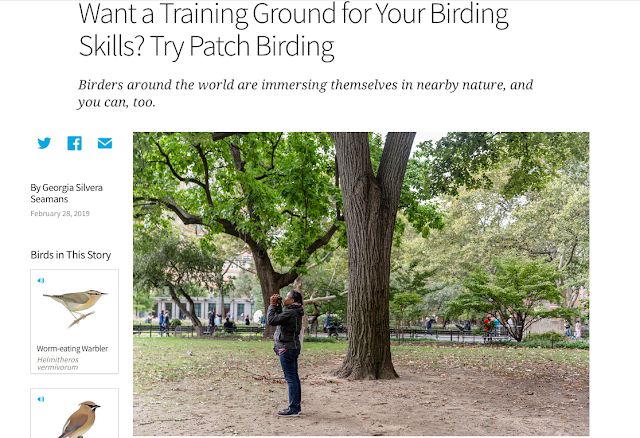 I'm so glad you wrote this post about trees in such an urban environment like Greenwich Village. They have such a calming affect in our society. They make us feel peaceful and in our natural environment. In such a big city, trees can reduce stress levels, fatigue, or pain that we feel in our lives. Thanks again for spreading the love for trees in urban environments. One of the lovely aspects of Greenwich Village is that it feels like a village - the buildings heights are typically low and there are great spots of lush vegetation. And there's lots of neighboring.